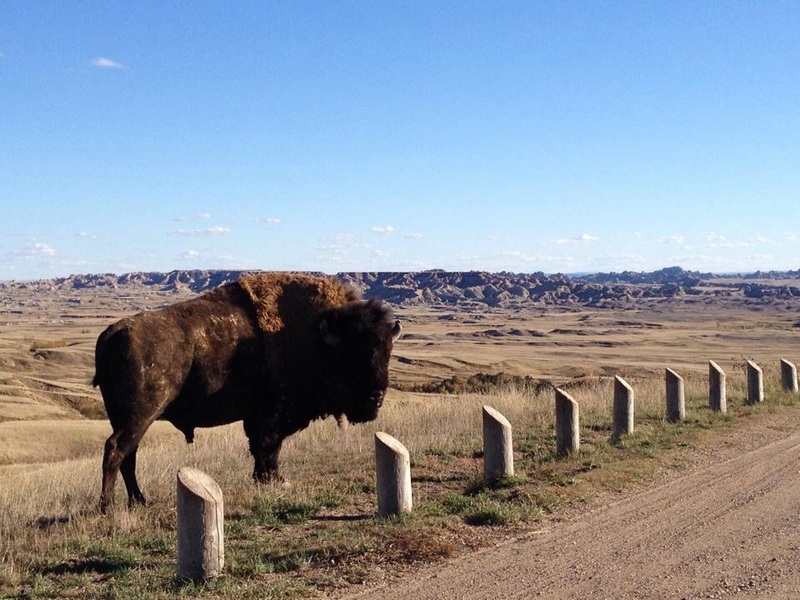 When we drove in to Badlands National Park and were amazed at the incredible rock formations, little did I know I would have the worst camping night of my life. 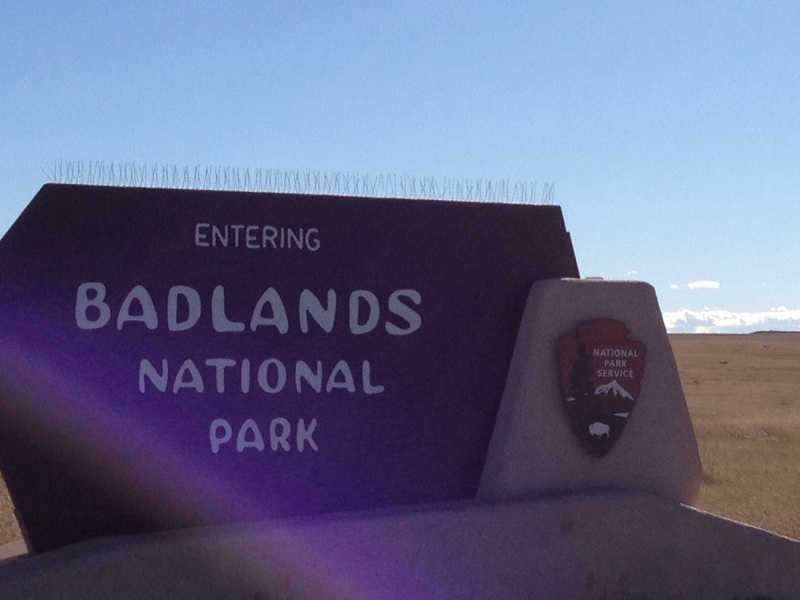 We got in to Badlands about 4pm and had enough time to sight-see and have a short wonder before heading to our camp site (I just love a new website that Sandy has found with free campsites in America). Setting up camp was pretty easy as we have that down pat now and the kids generally like setting up the tents while we do the sorting stuff. Hot water was boiling when we saw the descending sun disappearing so ran up the hill to get a view – as the coyotes howled in the background. 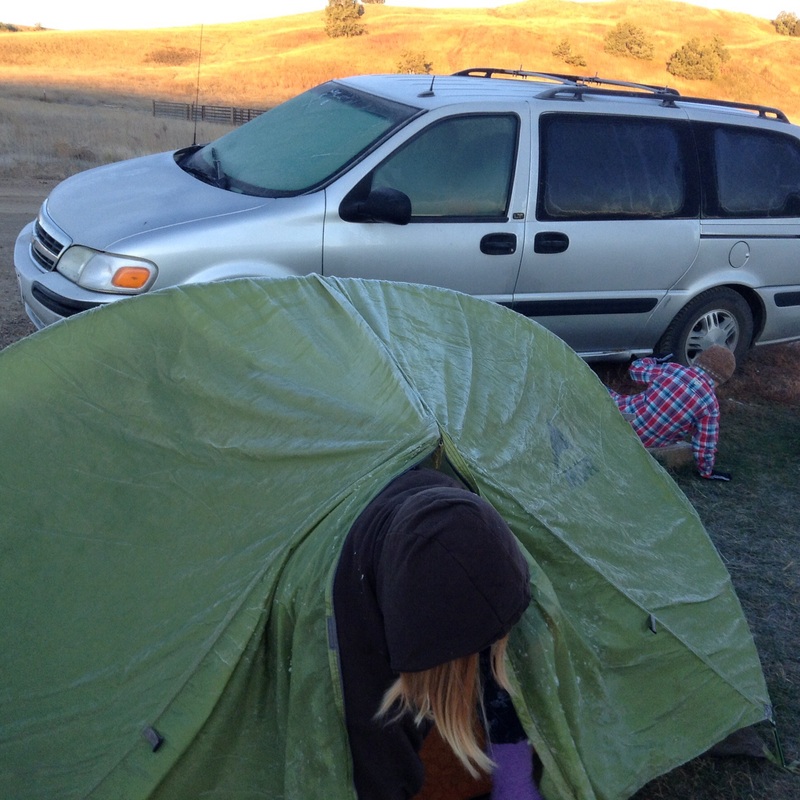 This was our first camping night with Gigga (Aunty Jenny – my sister) – the coyote sounds and the up close bison weren’t the best way to appease her mind that we were safe. The temperature during the day was lovely – maybe 20 C but as soon as the sun went down it started getting chilly – we all got our thermals on, some of the kids even used socks as gloves. Dinner of instant noodles was so warming and divine. The Stars were spectacular – not a cloud in the sky – the Milky Way was just amazing and I reminded myself that I hadn’t seen it since outback Australia. Jenny bought some hiking boots especially for our trip but didn’t go as far as a sleeping bag or mat. So Toby donated his mat and slept on a space blanket to keep the rising cold from the ground at bay. I donated my sleeping bag which is meant to be good for temperatures down to -8 C. We had three small tents and I shared with Emilio and Toby and thought if I go in the middle they will keep me a bit warmer. 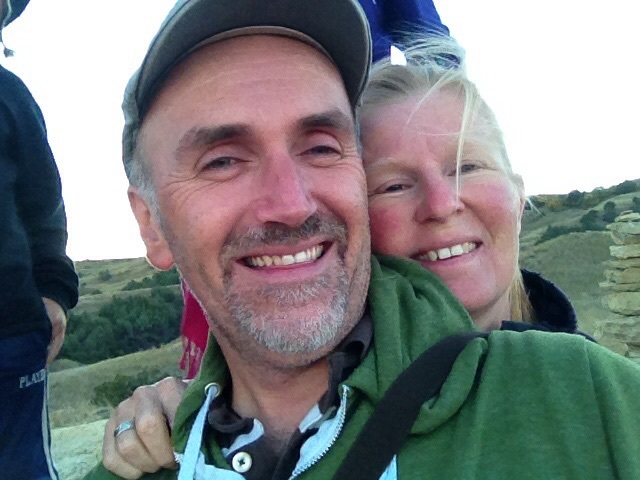 I had Sandy’s shawl as a blanket which in hindsight was terribly inappropriate – I thought I had been asleep for ages and that it was almost morning when I turned and realised I couldn’t feel my feet as they were so cold. I tossed and turned and tried to get back to sleep but I was just so cold. I contemplated trying to squeeze in to one of the sleeping bags of the boys but they just looked so warm and comfortable, I couldn’t do it. Well I thought maybe I’ll try to go to the toilet so I at least move my feet around and that might help. When I unzipped the tent door I had a quick look at the time – I was devastated that it was only 1.09am. Oh my golly how was I going to get through the night. I got back in and lay down and this time kept my hiking boots on in the hope they would keep my feet warmer. It didn’t make much difference. I lay there for many hours freezing cold and unable to fall back asleep. I instantly had a mountain of empathy with many of my insomniac clients who struggle to sleep at night. Every few minutes I would wobble my legs to help the blood flow to the feet. I went through hours of visualising what would happen to my posture if they had to amputate some of my toes. Would I still be able to jog or run a marathon. It felt like I would never be warm again – as if my feet were permanently frozen. I couldn’t feel them much and it was difficult to wiggle my toes – though I kept trying. I would have loved to know how cold it was. I got up to go to the toilet again and was hopeful that it was close to morning – though it was devastatingly only 4am. Every time Jenny heard a zip she would yell out to see who it was. Sleeping lightly as she was worried about the bison who seemed to be next to the tent and the coyotes who sounded a lot closer. I wondered if I should get in the car, if I should go driving and turn the heater on – I couldn’t make myself do anything except lie there feeling very very cold. By this stage I had given up, I didn’t care if my feet wouldn’t work again – I just wanted to get a little bit of sleep – an hour or two emerged and eventually the others started moving. When we stumbled out of the tents it was not surprising that there was a thick film of ice on the tents. It was actually quite validating to see the ice and that I wasn’t just being a wimp. Sandy quickly got some tea boiling and despite not being a ‘black tea type of person’ – it felt so good as it was going down my throat, warming everything on the way. 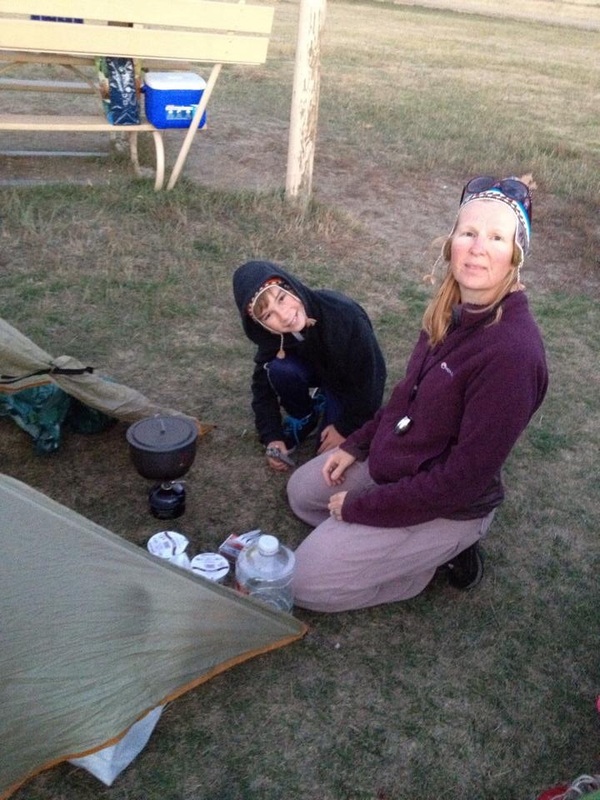 We even had hot toast cooked in a saucepan – she’s an ingenious girl! I started feeling more normal, though it took till at least 10am till my feet didn’t sting with cold and felt ok. Everything seems so much easier and better in the daylight. The kids had so much fun running around the camp ground with the tent flies so that they dry in the wind. 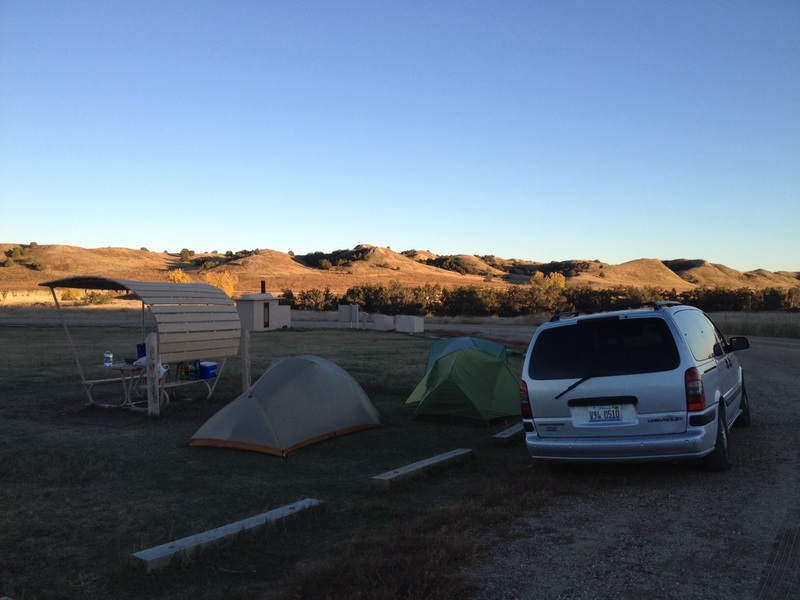 So, this has been possibly my worst camping experience ever – but at least there wasn’t any mosquitoes! After a short stop to see the presidents of Mt Rushmore we traversed the State of Montana to Billings – where we had set up a Servas stay with a great guy called Carl. He lives in a warehouse apartment in the centre of town that is just so amazing. He had a fantastic style of decorating – that he described ‘junk yard modern’ but it was so quirky and retro. One of the most interesting places we have visited. He is such a hospitable friendly guy and didn’t bat an eyelid to these eight strangers arriving at 8pm and cooking us a yummy chilli bean dinner on his small stove. The chilli peppers were even from his mother’s place in New Mexico. Delicious dinner, great conversation and fantastic sleep with feeling cold being a distant memory!